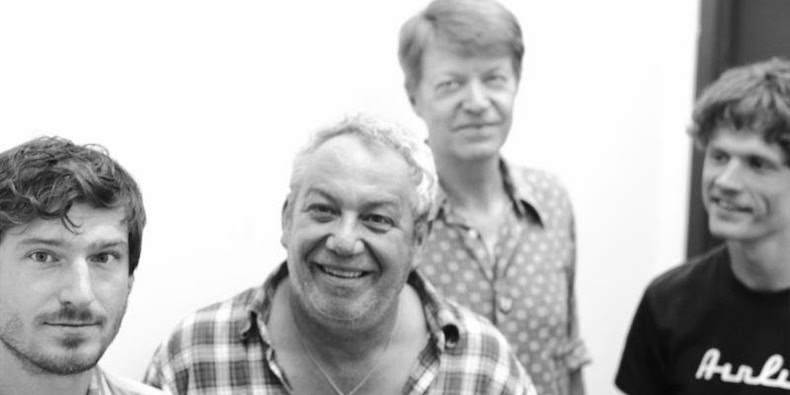 Big Walnuts Yonder—a new band comprised of bassist/vocalist Mike Watt (Minutemen, the Stooges), guitarist Nels Cline (Wilco, Nels Cline Singers), drummer Greg Saunier (Deerhoof), and guitarist/vocalist Nick Reinhart (Tera Melos)—have announced their debut album. The self-titled album is out May 5 via Sargent House. The first offering from the release is a new song called “Raise the Drawbridges?”—find the track, tracklist, and cover art below.